It’s simply beautiful how earth’s creatures, specifically bees, can make the most wonderful structures. Take, for instance, the honeycomb. It’s even more amazing when such a structure produces something that provides many uses and benefits for everyday life. Enter beeswax. This amazing substance comes from worker honeybees — the females — and the honeycomb, and it’s commonly used for lowering cholesterol and relieving pain. It’s also used for swelling and inflammation, and of course, it helps produce different forms of raw honey, including the highly beneficial Manuka honey. This shouldn’t come as a surprise, seeing as another bee byproduct — bee pollen — is so beneficial. So what else can beeswax do? Let’s take a look at this natural product’s biggest benefits and uses. Beeswax is an amazing way to moisturize the skin and is commonly found in skin care products and cosmetics, such as Burt’s Bees. It can help protect and repair rough, dry or chapped skin because it has the ability to lock in moisture. The natural moisturizers in beeswax make it the perfect lip balm. If you suffer from cracked or chapped lips, topical applications of beeswax and a few other ingredients can provide some much-needed relief. (7) It’s easy to make your own lip balm by combining it with coconut oil, honey, vitamin E oil, and your favorite essential oils, such as orange, peppermint, lavender or lemon. Instead, opt for these natural candles, which work well as stress relievers. (12) If making your own candles, you want to check labels to make sure you get organic beeswax since it’s free of toxins. If you’re buying already-made beeswax candles, choosing 100 percent beeswax candles with cotton wicks is definitely the best choice. In addition to the above benefits and uses, there are some additional uses for honey and beeswax. The three major beeswax products are yellow beeswax, white beeswax and beeswax absolute. Yellow beeswax is the crude product obtained from the honeycomb. White beeswax is made from yellow beeswax by bleaching, and beeswax absolute is made by treating yellow beeswax with alcohol. If you are using it for food preparation, the easiest way to work with it is to put it in the freezer for a few hours and then grate it. In many foods and beverages, white beeswax and beeswax absolute are used as stiffening agents. 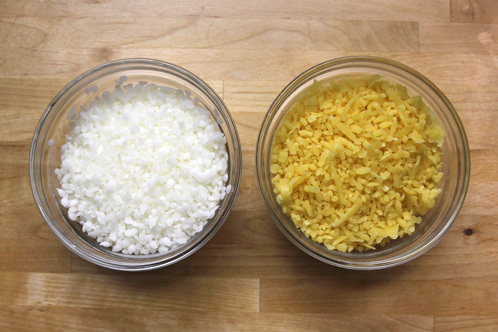 In manufacturing, yellow and white beeswax are used as thickeners, emulsifiers and stiffening agents in cosmetics. However, it’s most commonly used to make the salves and moisturizers that are used externally. Beeswax absolute is typically used as a fragrance in soaps and perfumes. White beeswax and beeswax absolute are also used to polish pills. The yellow beeswax is the form we love the most because of its natural state. Regardless, make sure you check the ingredients and directions prior to using any form of it, and if you have an allergy that may be related, don’t use it. First, let’s think about just how important bees are to our health and overall existence.Did you know that we rely on bees for nearly a third of our entire food supply? We also greatly benefit from all the fibers, spices and medicines that come from the plants they pollinate. This produces a great appreciation for our bees, and the list continues. Bees affect more than just our food and medicines. Honeybees are connected with several critical issues for human and environmental health, including biodiversity, food security, nutrition and sustainable land use. A world without bees would not be possible since the health of the honeybee is a critical step to sustainable agriculture. Another is that the wax would start to melt if a woman sat too close to the fire, and their companions would have to tell them to “mind their own beeswax,” which was dripping off their chins. As interesting as these stories may seem, they were on to something with the its use as a natural way to heal the skin. However, the origin of this story is said to be a myth. It seems the story started circulating by a chain email called “Little History Lesson,” which made the rounds in 2000. The first record of “mind your own beeswax” actually appears in 1929 in a children’s book, with additional early records following in 1934 and 1939, quite a few years after women were supposedly slathering wax on their faces and coining popular expressions about it. As far as the science goes, beeswax is the foundation of the beehive. Honeybees build their comb from beeswax and fill the geometric shape of the hexagonal cells with honey and brood. Worker bees then secrete wax from eight special wax glands on the underside of their abdomens. If you have any concerns with allergies, beeswax may present problems for you. It’s important to check with your doctor prior to using it in any form, especially if you’re pregnant, breast-feeding or taking medications. Beeswax treats diaper dermatitis, psoriasis and eczema; moisturizes skin; protects the liver; lowers cholesterol levels; relieves pain and possesses anti-inflammatory properties; clears acne; heals dry, cracked lips; reduces stretch marks; treats jock itch and fungal skin infections; and relieves stress and promotes relaxation. It can also be used for hair, food preparation, fragrance in soaps and perfume, and to polish pills. Evidence even shows it may have been used as a tooth filling. We rely on bees for nearly a third of our entire food supply. We also greatly benefit from all the fibers, spices and medicines that come from the plants they pollinate.